Jon Humphrey's and BBC Panorama visited the Welsh steel town of Port Talbot last evening and asked the question: "is saving Britain's steel really worth it"? In short, the answer is yes! As Mr Humphreys explained and explored, Port Talbot is more than just steel, it's a community who's lifeblood revolves around the health of this specific industrial sector. 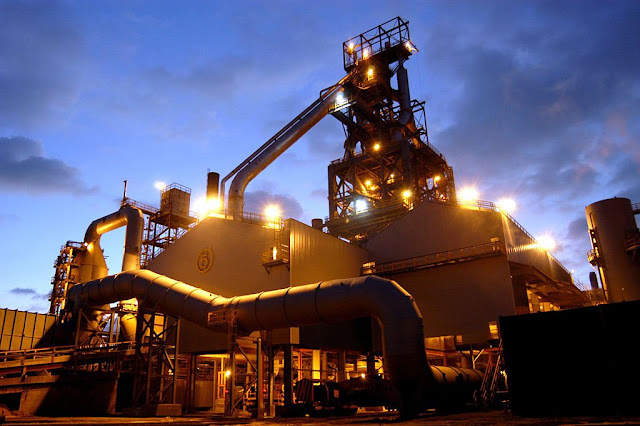 Fifteen thousand jobs are directly connected to the steel plant in Port Talbot, whether that be physically working at the plant, running a business nearby, or being employed by a company operating inside the town. If Talbot goes, they go - as Jon Humphreys explained, most of the trade conducted in the town is directly linked to the plant, for example one cafe visited... sixty percent of their respective revenue is derived from those employed in the steel industry. However, what should be the solution to this explosive dilemma? As we all know, total nationalisation of Port Talbot is not on the cards - a Conservative government would never commit to this, as nationalisation is contrary to their ideology. Instead, the Secretary of State for Business, Sajid Javid, has agreed the government will purchase a twenty-five percent stake, if and when a buy-out deal is made. But it is this "if" that troubles me... With so many livelihoods on the line - is this a time to be thinking only in the realms of political capital and ideology? Shouldn't Mr Javid be thinking more tactically and saying: "if I save Talbot, and the plant remains open... doesn't that allow me to gain a slight foothold amongst the electorate in this region" - could Aberavon turn 'blue' in 2020?